Let us know and we will get in touch! Complete the form, and we will reply within minutes or call us anytime @ 954.226.7828 or our toll free 1.844. 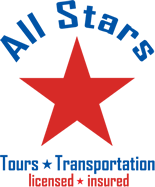 845.7996, book cruise reservations online click here and for groups, meetings and events inquiries please email our group coordinators at kb@allstarstransportation.com.